This flavorful fruit smoothie will give you the energy boost you need after a serious workout. Bonus? The ginger adds some anti-inflammatory oomph, making it the perfect drink for muscle repair and recovery. 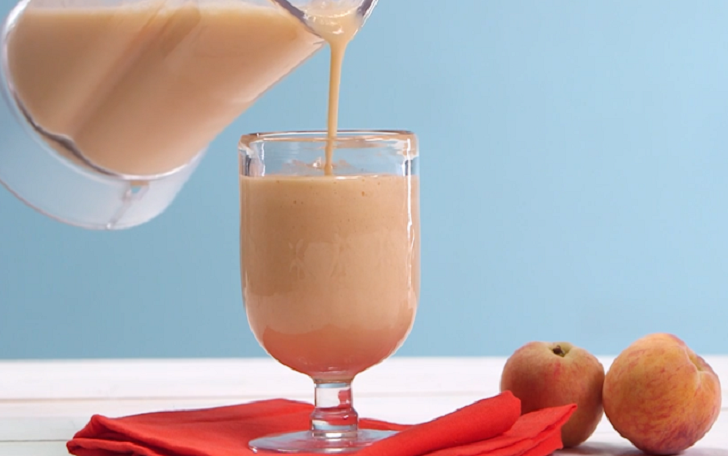 Blend up this easy peach smoothie in no time and enjoy a nutritious breakfast or snack. Fresh, hydrating and satisfying! Put all ingredients in your blender and pulse until mixed. Enjoy!